The Annual Community Carol Sing originally scheduled for Wednesday 14 December at 12:15 p.m. in the Church must be cancelled this year. During the week of 11 December the scaffolding in the Choir area of the Church will be brought down as the restoration work in that part of the building is completed. There is no way for such a big job to be completed and the space made usable in that short a time frame. The Carol Sing will return in December of 2012, renewed and more beautiful than ever. 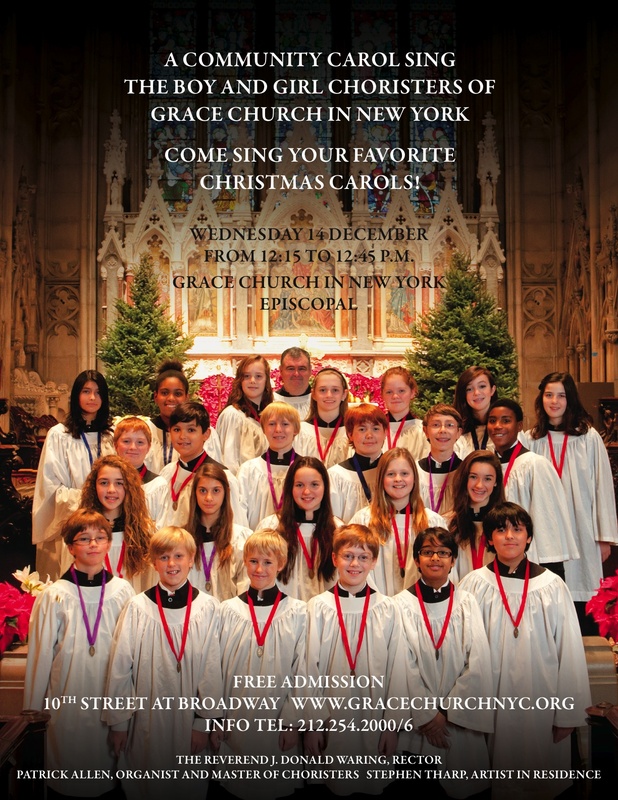 Please plan on attending the other services and celebrations of the season and enjoy singing your favorite carols. Forgive us any inconvienience that this last minute schedule change may cause. We wish you and yours a Joy filled and Safe Holiday Season.